STEAM-MaKey MaKey workshop with Charleston Development Academy students, Charleston,SC. STEAM workshops for students grades K-12 and teachers. Workshops are an interactive and hands-on experience for both teachers and students. Lessons for adults, and children of all ages. Learn guitar from an experienced teacher who will inspire you to practice and develop your musical skills. Younger students study in small groups encouraging a social and interactive musical experience. Tom has performed throughout the US and in Brazil and Taiwan. 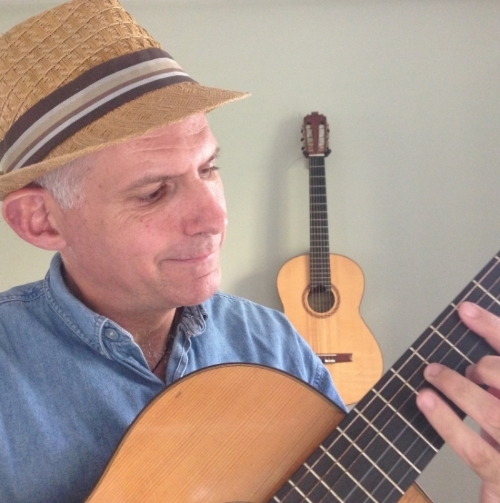 He is a founding member of two acclaimed Boston based ensembles, New World Guitar Trio and Hourglass. He recently formed Porto Seguro, performing Brazilian music in Charleston, SC.